If you follow baseball closely, then you’ve probably heard of the annual baseball winter meetings. But, if you’ve never attended, do you actually know what’s going on? The 109th annual Baseball Winter Meetings will be in Florida for the second time in five years. The annual gathering of baseball executives, player agents, managers, and occasionally players, will take place at the Walt Disney World Swan and Dolphin Resort near Orlando starting next Monday, Dec. 6 through Thursday, Dec. 9. More than 200 Major League and Minor League Baseball clubs, leagues and organizations attend these meetings. The meetings are four days to plan for the 2011 season and to honor the achievements of the past year, but the biggest attention around these meetings centers on trades and signings by the MLB general managers. For Major and Minor League Baseball, league meetings for clubs and executives occur throughout the day behind closed doors. There are also other organizations that are affiliated with MLB and MiLB that hold meetings, including the BBWAA (Baseball Writers Association of America) which holds its annual meeting to determine which applicants may or may not gain inclusion into the Association. The organized events surrounding the industry include the baseball Trade Show, Awards Luncheon banquet and the main social event, the Gala. The trade show attracts nearly 300 exhibitors and includes a lot of different items pertaining to baseball. Companies such as Rawlings or New Era show off what’s new or what’s hot and try to get baseball teams to upgrade and make purchases. The events are covered by the media who usually hang in the hotel lobby waiting to report on the signings and trades that go down. MLB Network, ESPN Radio and Sirus XM Radio are also there reporting any breaking news. Officially, the Baseball Winter Meetings are not open to the general public. To gain access to the media workroom where press conferences and announcements take place, you’ll need a credential from MLB. You’ll also need a separate credential from Minor League Baseball to gain access to the Trade Show, or you have to register to attend the Job Fair. Stay tuned as next week I’ll write another blog post with updates/photos from Orlando. 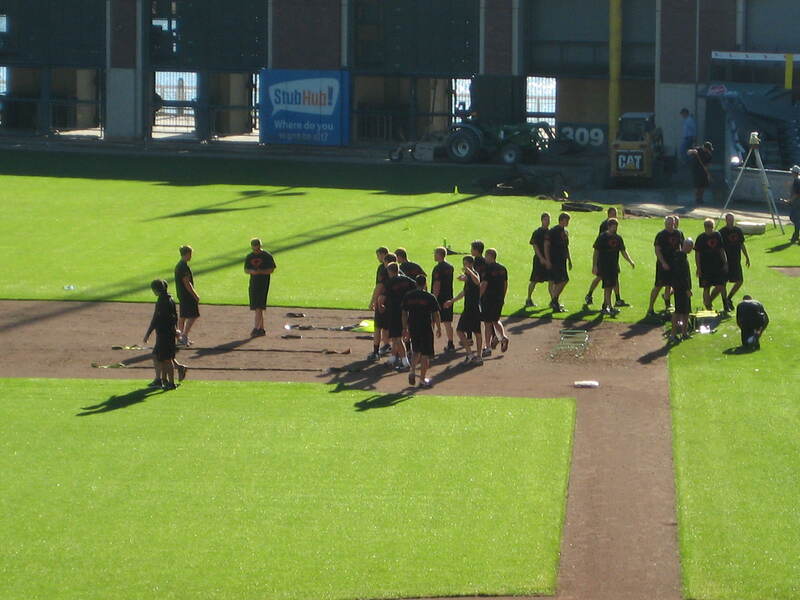 And for all Giants developments, make sure to follow us on Twitter @SFGIANTS. Dave Aardsma, Matt Cain, Kevin Correia, Jesse Foppert, Brad Hennessey, Travis Ishikawa, Fred Lewis, Noah Lowry, Pat Misch, Dan Ortmeier, Billy Sadler and Nate Schierholtz have all seen time at the Major League level for the Giants, but they also have another thing in common. They all took part in the Giants’ Winter Development Program in 2003, the first year that the Giants started a program that brings 25 of their best prospects that are fairly new to the organization (as selected by the Baseball Operations department) to San Francisco for a week. 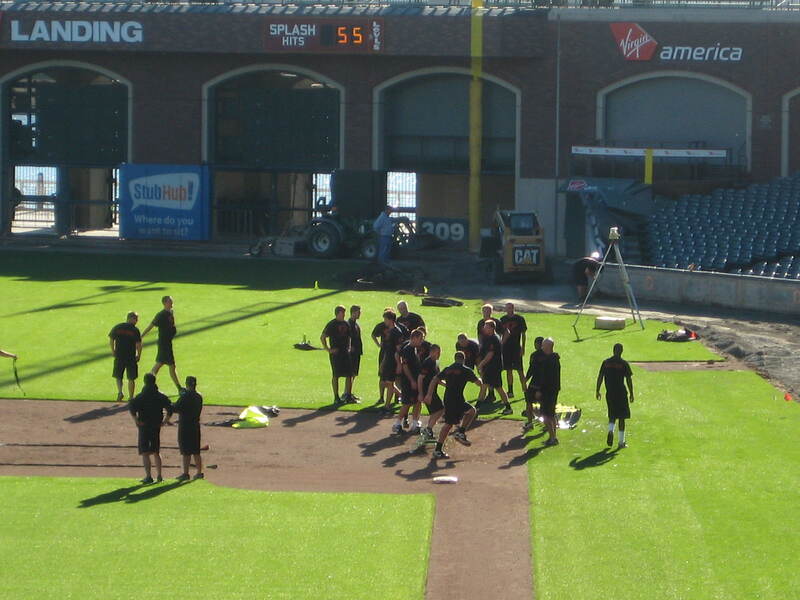 Ever since then the Giants have held the Winter Development Program at AT&T Park. 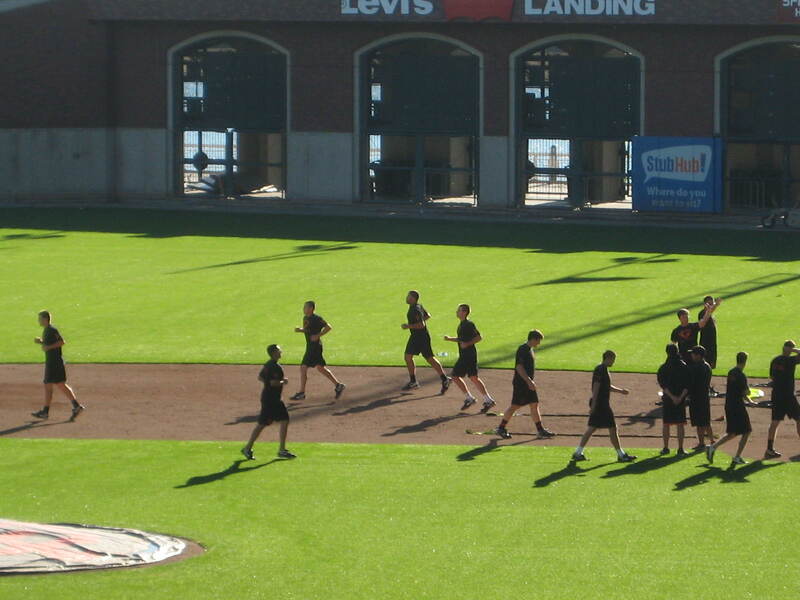 This year’s program started on Monday with prospects such as Gary Brown (24th overall pick in 2010), Jarret Parker (2nd round selection, 74th overall) and Carter Jurica (3rd round, 105th overall) getting a taste of what it’s like working out on a Major League baseball field. 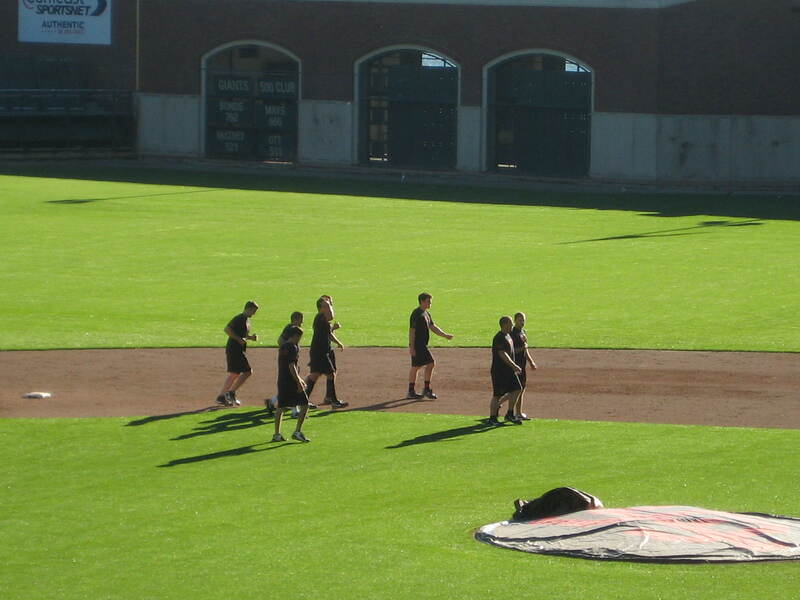 The program starts every morning from around 8:30-9:00 a.m. with strength and conditioning drills, as conducted by organizational trainers and strength and conditioning coaches. This lasts until noon everyday and then the players receive a one hour break for lunch and showers. Then it’s time to hit the classroom from 1:00-2:30/3:00 p.m. each afternoon. The classes change somewhat on an annual basis, but there is always a central core. The owner (Bill Neukom) speaks and former and current Giants players get together as a panel and talk about how to be a good teammate as well as a good citizen, how to navigate the minors, attitudes, philosophies and work ethic. There is also a media afternoon with sports writers and broadcasters coming in and talking about their roles in the media. Giants public relations staff also informs the group on the organizational approach/perspective on the role of the media. Strength and conditioning coaches always do a segment on Supplementation and the players are informed about drug testing policies and procedures. Following the classes, the players are taken back to their hotels where they all have free nights to explore the City by the Bay.